While doing some research in the Daily Herald a while back, I came across an intriguing ad in the April 26, 1912 issue of the Cook County Herald. 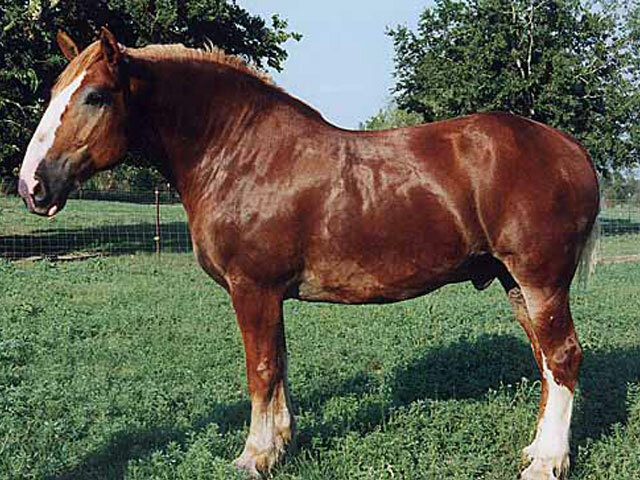 The Schaumburg Belgian Horse Co., with an address of Palatine, Illinois was offering a pure bred Belgium stallion by the name of Azor D’ Iseghem for stud purposes. Because detailed information was listed in the ad, I contacted the Belgian Draft Horse Corporation of America and they were able to tell me that the horse was chestnut-colored with a stripe on his face. He was born on April 21, 1909 to breeder, Madame Veuve Felix Deschryvere Iseghem and was registered with the American Association of Importers and Breeder of Belgian Draft Horses–the precursor to the organization listed above. According to their records, he was imported into New York on September 5, 1911 on the ship, the Manhattan. He was delivered to his buyers, the Champlin Brothers of Clinton, Iowa. In addition, their records state that the Champlin Brothers owned the horse his entire life. 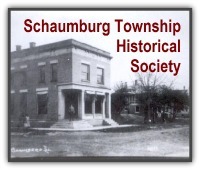 So, either a transaction between the Champlin Brothers and the Schaumburg Belgian Horse Co. was never officially recorded or the Schaumburg company leased the horse in some kind of agreement from the Iowa outfit. The stud was offered for the price of $18 at Schaumburg Center, meaning it was necessary for the owners of the mares to bring their horse to the stallion for service. The terms included $3 at the time of service and the balance of $15 was due when a colt was born. After eight years of ownership–and a now 11-year-old horse–it was reported in the DuPage County Register in 1920 that the Schaumburg Belgian Horse Company sold their horse to Mr. Stoxen of Hampshire “who was much elated at acquiring a valuable imported animal.” This suggests that the transaction between the Champlin Brothers and the Schaumburg Belgian Horse Co. simply was not recorded.